How do I Apply Prepasted Wallpapers? 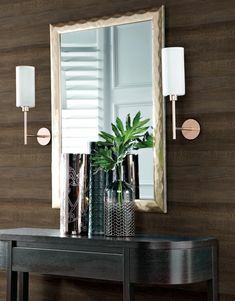 Although wallpaper has a reputation for often being difficult, either to hang or remove, a tastefully decorated room, accent wall, or panel can often be the perfect compliment to your home decor. While wallpaper may not be as effortless as our peel & stick wall decals, we think it’s time to show you how simple wallpaper application can be. You may be surprised to learn just how easy it is! Check that the number of rolls and the reference correspond correctly with your order and that they have the same batch number on matching patterns. Manufacturers instructions vary and you should follow these when delivered with the product. When a wallpaper is prepasted, there is no need to buy wallpaper paste to hang your paper. Approximately 24 hours before you apply your wallpaper, you will need to prime the walls. Primer allows wallpaper to more easily “stick”, and can also help prevent damage to your drywall or sheetrock if the paper ever needs to be removed. Don’t skip this step! Use a paint roller to roll a high quality wallcovering primer onto your walls, then allow the primer at least 24 hours to work. After you’ve primed the walls, pick a point in the room at which you will hang the first panel of wallpaper. Because you might have trouble matching this first piece to the last one, we recommend starting by the door, or in a corner. (Of course, if you’re only covering one wall or a small area, you won’t have to worry about this!) Optionally, you can use a ruler or level to measure the width of each wallpaper panel, and draw a line from ceiling to floor to help guide you as you hang each section. Using a sharp knife or razor blade, cut the first panel of paper away from your roll. This panel should be the same length as the height of your wall from top to bottom, plus at least two additional inches to allow for a seamless line at the ceiling, chair rail, paneling, or floor. Loosely roll the first panel, with the adhesive side facing out, and immerse it in your tray of water. Once the paper is wet on all sides, you will need to perform a process called “booking.” This ensures the paper will be flat and easier to apply to the wall. To book the paper, remove the panel from your water tray, and loosely fold it in half, with the pasted sides touching. (Be careful not to crease the paper!) Allow the paper to rest for approximately five minutes in this position. After the paste has been activated and the panel has been booked, bring the paper to your starting point on the wall. Starting at the ceiling, slowly apply the top half of the panel, allowing an inch of overlap at the top of the wall. Use a damp sponge to smooth out the edges of your panel, or utilize a soft brush to move any pockets of air to the outside edges. (Do not use a seam roller yet!) When the top half has been applied and smoothed, repeat the process with the bottom half. You should have at least one inch of overlap at the bottom of your panel. Using your sharp knife or razor, trim the excess paper from the top and bottom of the panel you have just applied. When this trimming is completed, you may find it necessary to clean your ceiling, baseboards, molding, or chair rail with a damp sponge. Any excess paste on these surfaces should be easily wiped away. Repeat steps 3-6 with the rest of your wallpaper. Remember to book each strip prior to hanging! Match the seams of each subsequent panel without overlapping—you should not experience any significant shrinkage from strip to strip. If you are papering around doors or windows, you should also remember to allow excess amounts of at least one inch on each end to ensure there are no gaps between the paper and molding. If you are papering in a corner, you may find it necessary to overlap panels slightly, just to ensure that no peeling occurs. Once you are finished, you may gently use a seam roller to flatten any visible seams between panels. A damp sponge can be used to wipe away any excess paste on the surface of the paper or on your walls, molding, etc. Allow the wallpaper to settle for at least two weeks prior to hanging any pictures, applying wall decals, or making any additional modifications. That’s it! While the first time may seem daunting, once you finish hanging your first wall or room of wallpaper, you’ll be a seasoned pro. Don’t sweat the small stuff: even if you make a mistake, we’re sure people will be way too busy admiring your new wallpaper to notice a tiny gap in between panels or slight mismatch in the corner. And if you get stuck, you can always consult our website or a local interior decorator for help. Careful removal of wallpapers will minimise any wall damage. 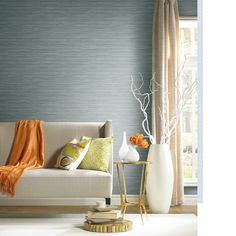 Strippable Wallpaper: Wallpaper or border that is easily removed without damaging the wall. Strippable papers remove both the cover and backing at the same time. 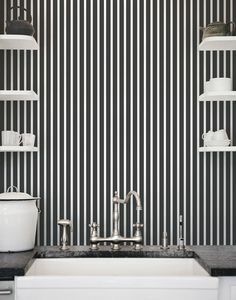 Peelable Wallpaper: Wallpaper or border of which the front and middle layers can be stripped away, exposing the backing material and making removal easier. Once the backing is exposed, it can then be saturated with hot soapy water and scraped from the wall. Ultra-strippable Wallpaper: Lift up a bottom corner and peeling steadily up towards the top. It is completely strippable in full sheets.